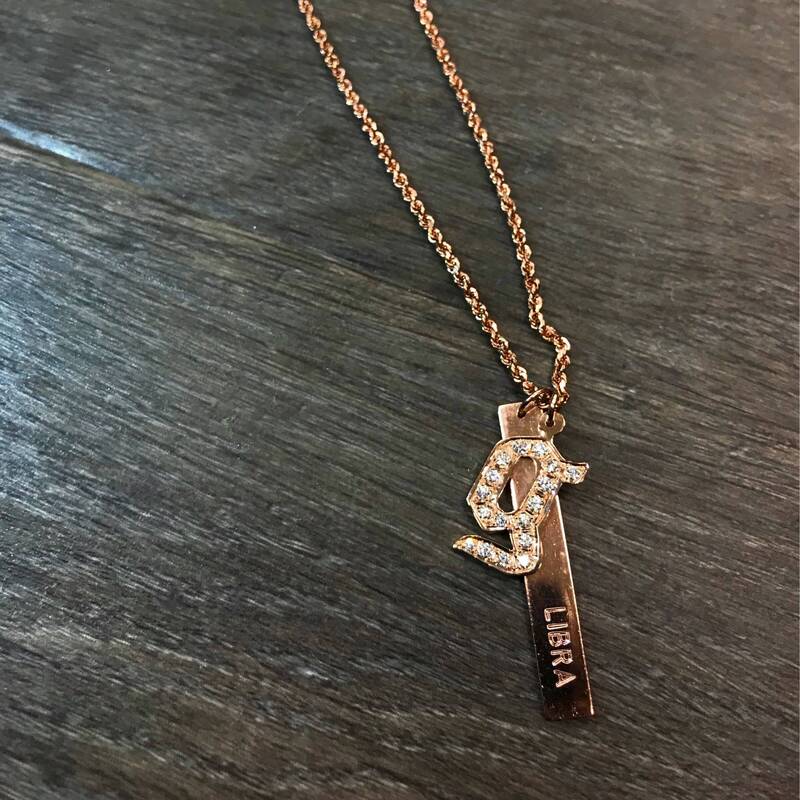 14k gold diamond initial pendant. 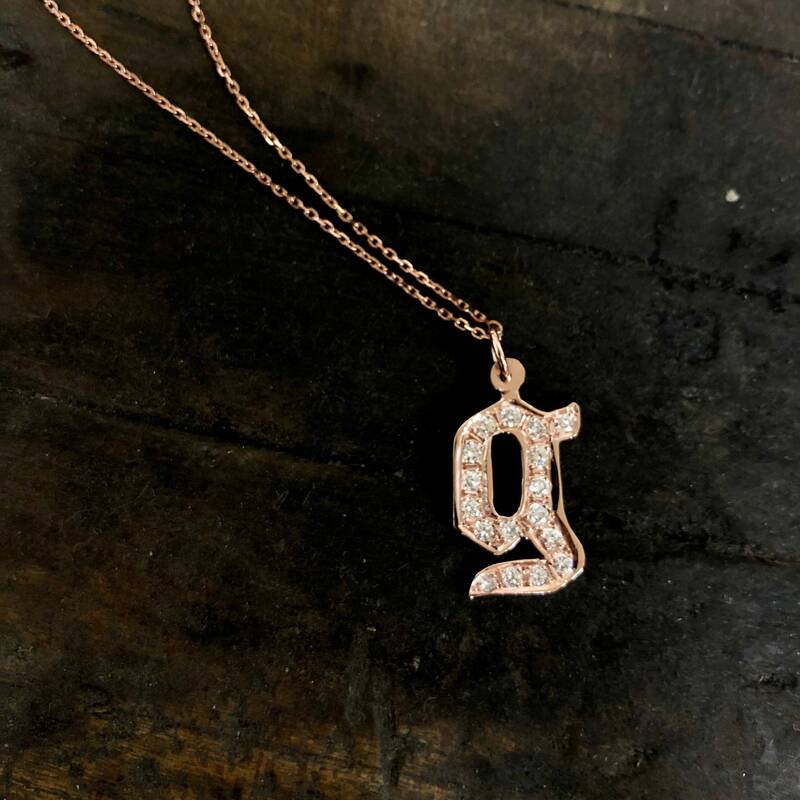 Pendant contains roughly 0.40 carats of diamonds which varies by letter. 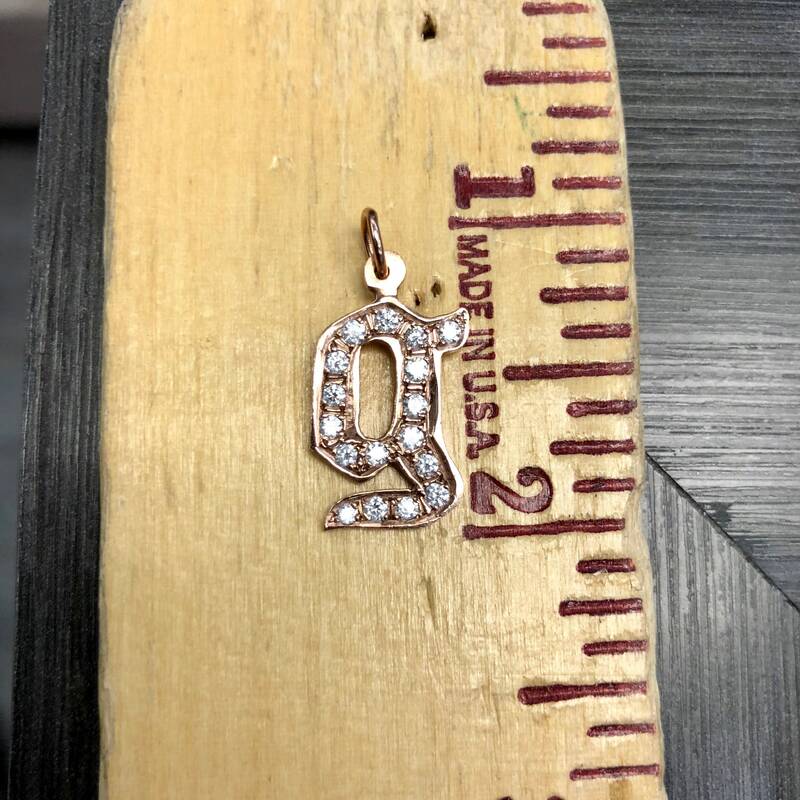 Each pendant is approximately half and in wide and one inch long. Available in colors yellow, white and rose gold. PLEASE INCLUDE YOUR LETTER OF CHOICE IN THE NOTES SECTION!